Looking over Grasmere to the pass of Dunmail Raise. We had Jonathan a German exchange student staying with us this week so of course we had to show him a bit of the lakes. Here is is with David on the path up to Loughrigg fell. Windermere from the top of Loughrigg. Trig point complete with camera with the Coniston fells in the background. 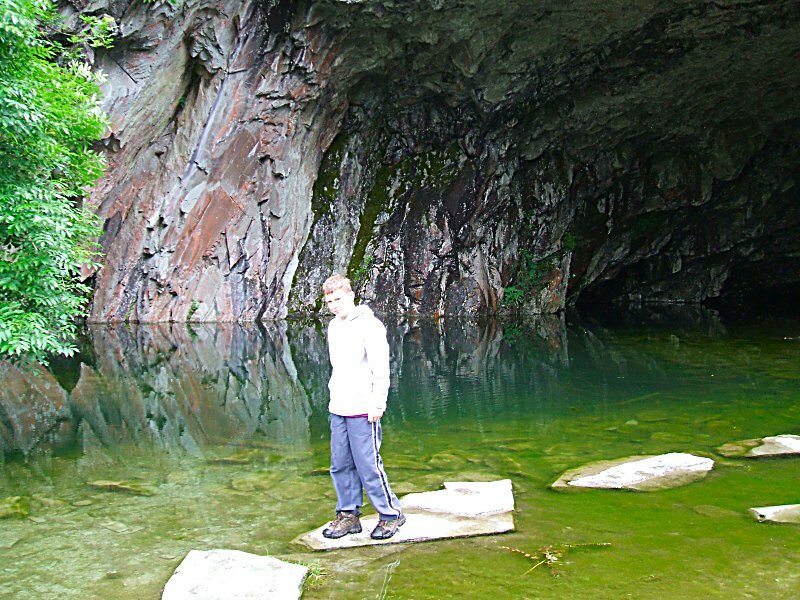 Dave looking for goldfish in Loughrigg cave. The boys at Blea tarn L-R Jonathan, Dave, James and Rob.